Pristine Home offers a wide range of expert cleaning services, from home to workplace cleaning. 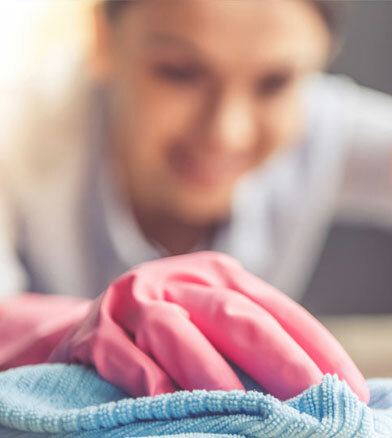 With more than a decade of experience in serving the cleaning needs of residents and businesses in Zetland, we are well-versed in the intricacies involved in performing a detail cleaning of properties of varying sizes. We offer regular home cleaning that can be done on a weekly, fortnightly, and monthly basis, and one-off spring cleaning to breathe new life into your house. Have an immediate need for expert cleaning? Our trained cleaners can be scheduled for next day appointments. Simply book a cleaner online, and we will arrange for our cleaners to do a basic or detail cleaning of your house as early as the following day. If you find yourself spending most of your free time organizing things around the house, and wiping dirty surfaces, then you are taking precious time away from other important aspects of your life. Instead of taking on the task of house cleaning alone, let our reliable cleaners perform a deep clean of your abode. We will take care of mopping floors, cleaning the kitchen and bathroom and dusting off cobwebs. If you are nearing the end of your lease, you are required to do more than just pack your belongings and find a new place to rent. Most lease agreements include a clause that discusses the renter’s responsibility to clean the place and to refer to the landlord’s specific cleaning instructions in carrying out the task. We provide end of lease cleaning, so you don’t have to worry about forfeiting your bond. We apply deep cleaning methods to deodorize the place and make it presentable to your landlord and to the next renter. Through our apartment cleaning service, you can come home to a place that looks and smells fresh. We pay special attention to the bathroom, kitchen, and sleeping areas. Our cleaners will remove cobwebs, clean bathroom mirrors and floors, dust living areas, and clean countertops. Vacating a rented property? Landlords typically require renters to perform a detail cleaning of the place, or to hire expert cleaners to broom clean the property to make it look close to its original condition. Vacate cleaning needs to be done correctly if you do not want to encounter any problem in getting your bond back. Good thing Pristine Home provides end of lease cleaning to help you move out with ease. We take care of cleaning the oven and stove top, wiping bench top surfaces, disinfecting toilet bowls, and washing tiled surfaces in the bathroom. Cleaning the bathroom is one of the most disliked tasks of any homeowner. The mere thought of scrubbing grimy surfaces and cleaning the toilet bowl is enough for many of us to wish that we could just skip the task and do other cleaning chores instead. At Pristine Home, we know that a disinfected bathroom is the key to preventing bacteria from spreading, which is why we provide a comprehensive bathroom cleaning service to allow you to maintain a germ-free powder room without doing all the hard work alone. Spring marks the end of cold and gloomy days. With the arrival of the warmer season, many of us feel the urge to do a one-off cleaning to cut through the dirt and mess that accumulated throughout the colder months. If you don’t have the luxury of time to perform a massive cleaning of your house to give it a complete makeover, Pristine Home can help. Our spring cleaning service includes wiping icy windows, removing soot buildup from the fireplace, cleaning glass surfaces, and vacuuming window blinds. Before you vacate a rental property, there will be a final inspection where your landlord will inspect the condition of the place. If you fail to fix changes you made within the property or leave dirt and dust lingering in certain places, you risk forfeiting your deposit. Our professional cleaners will help you get your full deposit back through our move out/move in cleaning service. We will clean all surface areas, sanitize sinks, toilets, and the bath as well as remove mould from tiles and walls, and dust air vents, just to name a few. Our home and office cleaning services are all priced modestly to conform with the rates of other cleaning companies in Zetland. This way, you know that you are paying just the right amount for quality maid services. Booking a residential or commercial cleaning with us is simple. Just book a cleaner through our website, review and approve the quote that appears, and we will take care of the rest for you. You can have a cleaning appointment in less than 60 seconds! 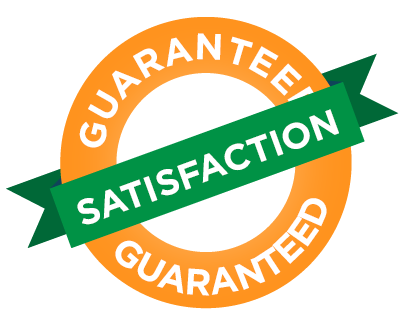 Our clients’ complete satisfaction is our top priority, which is why we offer a 100% satisfaction guarantee. If you have any issues with the quality of the service we deliver, simply let us know and we will promptly address your concern, free of charge. House cleaning eating up your time? Performing a thorough cleaning of the house is both time-consuming and exhausting. When you dedicate a large chunk of your time to house cleaning tasks, you will soon realize that you no longer have any time left for recreational activities, and for relaxation. Maintaining cleanliness in the house can be even more challenging when you have kids running around, or pets that produce a great amount of fur on a daily basis. To maintain a smooth running home while still having time to do other important things, call in the expert cleaners at Pristine Home. We can come to your home to do a detail cleaning every week, or every month depending on your preferred cleaning schedule. 10 Years Experience: We’ve been operating in Zetland and the surrounding suburbs for 10 years now! We continue to get positive feedback from our new and loyal customers for the quality of the cleaning service we provide, and for the reliability of our cleaning team. Have you had painful experiences with unreliable cleaners in the past. We take the stress out of cleaning and turn up on time for every appointment. Regular 5 star reviews from happy customers make us the best choice for domestic cleaning. We will exceed your expectations and build quality relationships that last well into the future. We have a reputation for outstanding service and customer relations. Our 5 star service produces 5 star results and reviews from our happy customers.